Oh Em Gee! It’s finally coming! 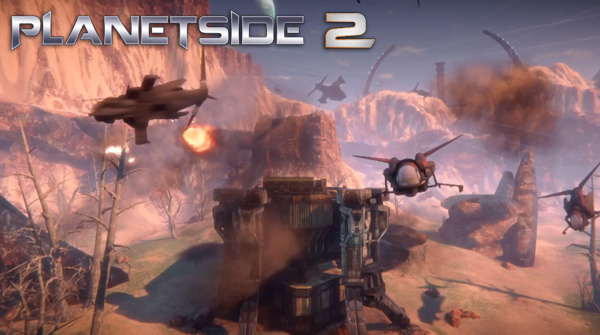 Planetside… TWO!! (No longer being referred to as Planetside Next) I played the original to death back when I was about 15, and I distinctly remember my dad had to cancel my subscription because I rarely did anything else, (even play other games). It was probably the best thing for me at the time, and looking back I escaped an incredibly addictive drug of gun-totin’, fighter-jet-flyin’, tank-drivin’, base-capturin’ awesomeness. Yes, those days are going to gloriously return in the form of a sequel, and I shall most definitely be re-enlisting in the New Conglomerate army; the Terran Republic and Vanu Sovereignty had better watch their backs! This entry was posted in News and tagged planetside 2, SOE. Bookmark the permalink.